This year’s NRPA Conference (National Recreation and Park Association) in Las Vegas was a special one to say the least. It marked the Associations 50th anniversary of networking, educational seminars, and new products on display. More than 7,000 park and recreation professionals gathered under one roof to share new ideas and inspire each other. For us at Beacon Athletics, the NRPA conference offers the chance to converse face-to-face with the men and women who make up our nation’s Park and Rec departments. They are the ones dedicated to making our communities great by maintaining your local parks, ballfields, and organizing activities such as youth league baseball, senior aquatics, pottery classes and everything in between. We used this opportunity to highlight a few of our favorite products as well as invite people to see our Groundskeeper University online training platform. 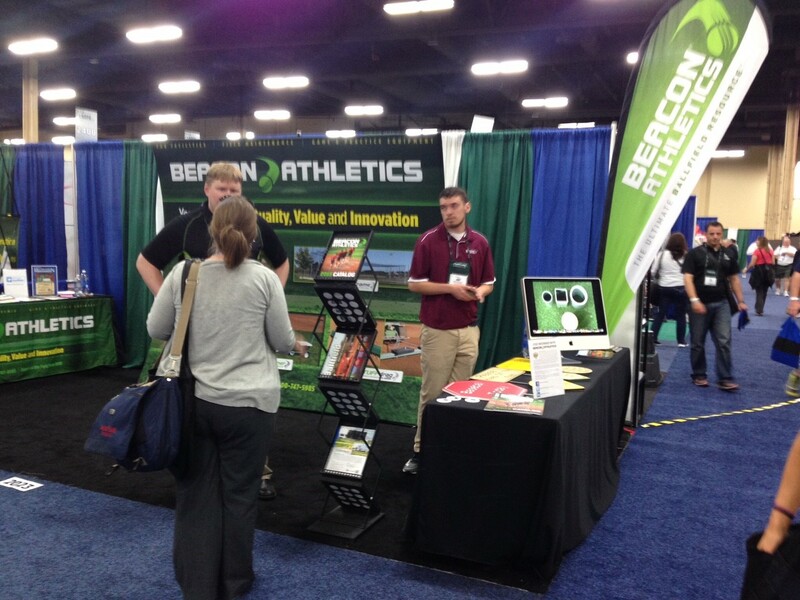 The NRPA show was the perfect venue for us to explain the benefits of this program to our park and rec customers. Many Park and Rec departments rely heavily on seasonal staff to help maintain and prep their ball fields for daily use all summer long. Groundskeeper University offers these organizations the chance to train new staff in proper field maintenance when the time is convenient for them, because everything is on their home computer! This program will save your organization time and money spent training new staff, along with giving your fields more uniformity because everyone will be trained the right way. GU focuses on mound and plate care, moisture management, chalking foul lines, lip management, and everything else needed to keep your fields looking and playing great. We would like to say thank you to everyone who attended NRPA this year and for visiting with us. Beacon Athletics appreciates all of the hard work you give your departments to make all of our towns, cities, counties and states great places to live.